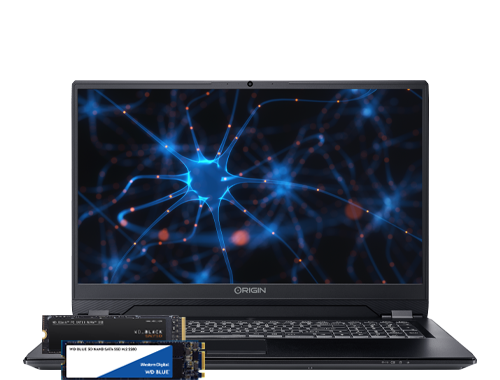 The WD Black™ SN750 NVMe™ SSD and WD Blue™ 3D NAND SATA SSD deliver top-tier performance for gaming and hardware enthusiasts needing high-speed and reliable storage in an ORIGIN PC desktop or laptop. Live life in the fast lane with the WD Black SN750 NVMe SSD. 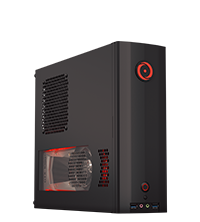 Whether you’re looking to boost your ORIGIN PC’s responsiveness or load games quickly, the WD Black drive cuts down on load times to get you back in the action faster. 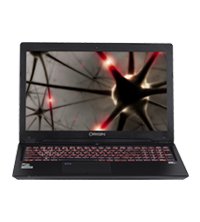 The NVMe design can deliver speeds more than six times faster than Western Digital’s fastest SATA SSD, with read speeds up to 3470 MB/s and write speeds up to 3000 MB/s to give gamers and professionals an edge. 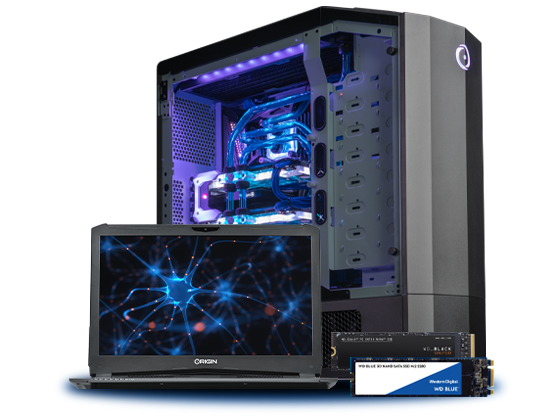 With the WD Blue 3D NAND SATA SSD, you can handle a variety of applications including gaming, media, or creative software. Western Digital 3D NAND technology helps enable sequential read speeds up to 560MB/s and sequential write speeds up to 530 MB/s for fast system boog-ups, quick application responses, and rapid transfer speeds.